Jean Tubridy of socialbridge@wordpress.com was curious as to how the American Robin differed from the European Robin seen in Ireland! With flitting warblers, and migration peak over, I was glad to get at least one good photo of this prothonotary warbler. The Audubon Field guide states this interesting fact: The name “Prothonotary” originally referred to a group of official scribes in the Catholic Church who wore bright yellow hoods, as this bird appears to do. 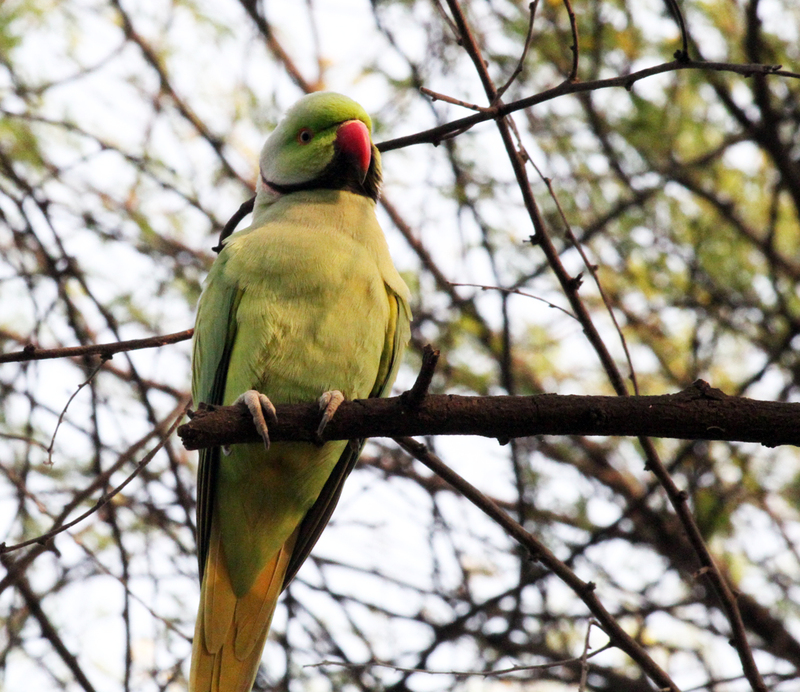 Photos of Rose-Ringed Parakeet from Keoladeo Nat’l Park in Bharatpur, India, near Agra. 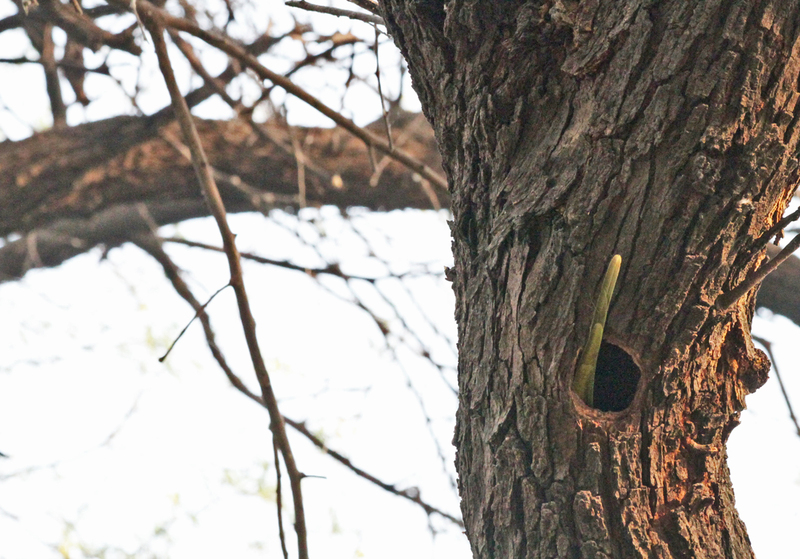 Bird Dives into Hole in Tree With Only Tail Sticking Out!